This is an archive of games that I have had but no longer have (sold, etc). If you are looking for a list of currently available games for sale, go to my for sale page here. Click here to go back to the main arcade page. Crazy Climber cocktail - (SOLD) MINT!!! Only 8900+ plays! 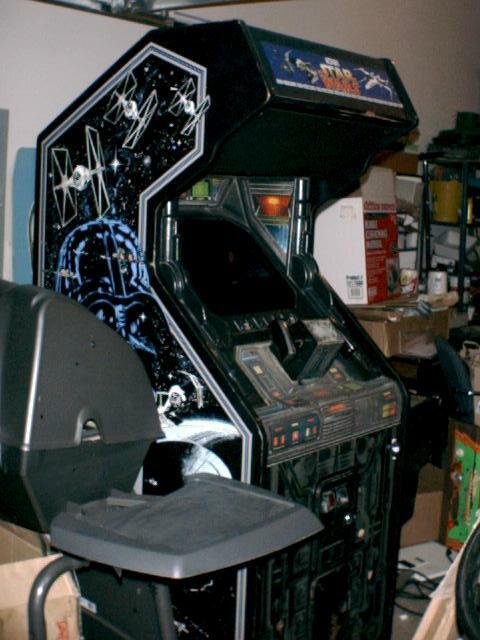 Asteroids Deluxe (SOLD) Very nice, low plays, nice, cab #333. Donkey Kong (SOLD) - now restored to original blue. Stargate (SOLD). New cpo, rebuilt monitor w/ new flyback, new switching PS. Marble Madness - includes Indiana Jones kit, Road Runner kit, Road Blasters kit.